Your home is important, so when it comes to improvements projects like windows, roofing, siding or chimneys, you want to choose a company that will do it right the first time. CL Home Improvements is committed to providing that service. Located in Hamden, CT we serves the greater New Haven area including, Hamden, New Haven, Cheshire, Guilford, Madison, and many other shoreline communities. Call Chuck, to get a FREE quote on your next project. You can add value to your home, and make it more marketable & extravagant, by installing a new roof. Roofing companies offer a wide range of services, including roof installations, repairs, evaluations, ice dam removal, vinyl siding repair, windows, gutters, etc. If you turn to a reputable, Licensed and Insuredroofing company, you will keep your roof in great condition for many years to come. Since your roof is a big investment, you should only hire a dependable roofing company for the job. 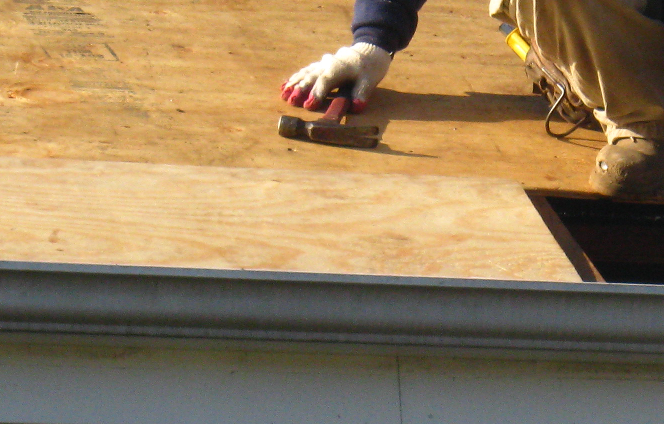 How do you know if you need to replace your roof? Leaks are clues that your roof is in trouble. The age and condition of your shingles will let you know whether replacement or repair is appropriate for your roof. When shingles get worn out, they warp and curl, and may have damaged or missing shingle tabs. You should speak to a roofing specialist if you are not sure whether you need a new roof or not. How long a roof lasts depends on numerous weather events; like how much rain, sun, wind, snow, ice, and humidity it goes through. These conditions will age your roof over time. Overflowing & mis-alignedgutters can cause basement leaks, mildew, wood rot, and paint peeling. Inadequate roof insulation and ventilation will also age your roof prematurely. Keep in mind that a new roof should come with Labor and Manufacturers warranties. Will you save money on energy bills if you get a new roof? The answer is yes. A ventilated roof reduces heat loss and enables you to save energy. Can you receive a tax credit if you replace your roof? The truth is, that people who use energy efficientdoors, roofs, windows, and cooling/ heating equipment, may qualify for tax credits. Also, contact your Homeowners Insurance to see if you qualify for a new roof replacement credit on your next bill! Choosing a roofing company is a big decision. If you want the best results, you should hire a company or roofing specialist who is licensed, insured, and experienced. Make sure to get a written estimate detailing their fees & recommendations and ask to see their State of CT Contractors License. You should never hire someone who has less than 10 years of working experience. No money should be paid up front before a job is started and a Certificate of Insurance is supplied to the homeowner. If you follow these tips, you will save time, stress & money.